To millions of music fans, Fleetwood Mac means Stevie Nicks and Lindsey Buckingham, along with the founding rhythm section of Mick Fleetwood and John McVie and recently rejoined singer-keyboardist Christine McVie. It’s not hard to see why. They were the most commercially successful incarnation of the band (remember a little record called Rumours?) and for the last forty years, the only incarnation. But before rock music’s timeline became so stretched out, there were of course two earlier stages of the band. The psychedelic blues combo fronted by guitar legend Peter Green and, after Green left in 1970, a transitional period in the early Seventies that saw the addition of Christine and, for a while, Bob Welch. 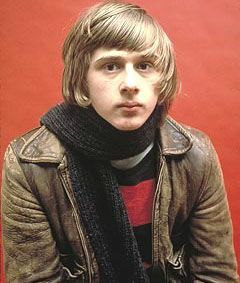 Straddling those two periods was Danny Kirwan, who was born in South London in 1950 and joined Mac as an 18 year-old guitar prodigy in ’68. By the time he left in 1972, Kirwan was the de facto leader of the band, but was let go amid tales of alcohol abuse and erratic behavior. 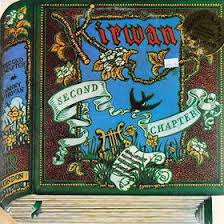 Someone like Kirwan, who developed mental health issues and was out of the music business by the late 70s, is an easily forgotten by the average pop fan. But for the passionate baby-boomer music buff, who have big record collections and read legacy rock magazines like Mojo and Uncut, a guy like Danny is often revered beyond what would normally be expected. And that’s how it should be. With the earlier version of FM, he was part of a formidable three-guitar formation (the third axe played by Jeremy Spencer) who carved out indelible rock classics like “Oh Well,” “Albatross,” “The Green Manalishi” and “Black Magic Woman.” In the post-Green years, the band developed a more ethereal and at times folk-rockish sound and, with the addition of Christine McVie, developed a feminine mystique that would that would really broaden their appeal a few years down the road. With a front line of Kirwan, C. McVie and Welch, the group made two excellent albums (1971’s Future Games and 72’s Bare Trees) that certainly set the table for that mega-success to come. Kirwan had a hand in composing about half the material on those records and his maturing writing style on songs like “Woman of 1000 Years” and “Dust” was central to their aesthetic appeal. But like a lot of the people I’ve profiled in this series, Kirwan’s step up from role player to nominal leader didn’t seem a good fit. 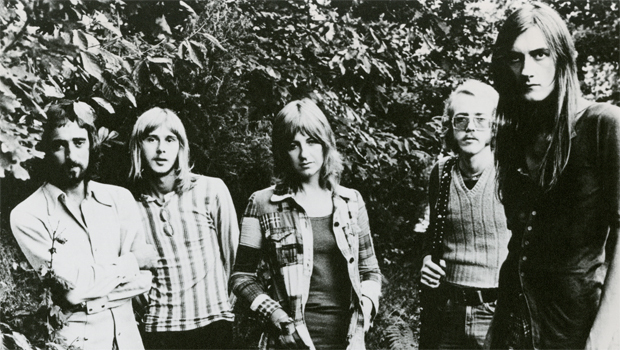 There were stories of it being a stressful arrangement and Kirwan’s developed a serious drinking problem, leading to bad behavior which alienated him from band members. In the end, Mick Fleetwood was the only one he was still on speaking terms with, if only to let the guitarist know he was out of the band. Danny Kirwan’s second chapter would be an abbreviated one. There would be a few more undervalued solo LPs to follow, while his old band, mining a similar musical vein but with more of that ineffable “It Factor” went mega-platinum. Many have said that if Kirwan’s issues could have been worked out, that his talents would have contributed greatly to the Buckingham-Nicks lineup, even if it would have been a crowded stage. But the vicissitudes of a pop musician’s life are many and often fall unkindly on the more deserving. Kirwan would spend part of the 80s and 90s homeless in London, occasionally being shadowed by tabloid reporters who on at least one occasion made fun of his alcoholism in a news story. Things may have improved some since then but tentative talks about a one-off reunion of early edition Fleetwood Mac (with Peter Green and Jeremy Spencer who, despite life problems of their own, are musically active) don’t hold out much hope that Kirwan can be included. Never say never, but in the meantime, astute and sensitive fans still have Second Chapter as a great Sunday morning listen while wondering what could have been. Postscript: Alas, there would be no personal or professional redemption for Danny Kirwan, who passed away on June 8, 2018.